A Research Paper is a very special form of academic writing in any stream. It has much theoretical information that has been collected after proper research work and study. Sometimes, it also contains arguments that are based on any thesis with significant evidences from a wide variety of reliable sources. How can you write the best research paper? Select the topic very carefully. Choose only the helpful and reliable sources. You need to use the index cards in order to jot down the important notes that are needed throughout the writing process. The notes need to be very much organized based on your topic. You need to make a draft at first as a skeleton of your research paper. Go through this first draft, do a thorough reading and then rewrite. How to write an ideal research paper? There is a general idea that writing a good research papers is a tedious as well meticulous task. But if you undergo enough research, study, analysis and practice, then it is definitely an easy task for you. If you really follow a few tips it will be less challenging and struggling for you. 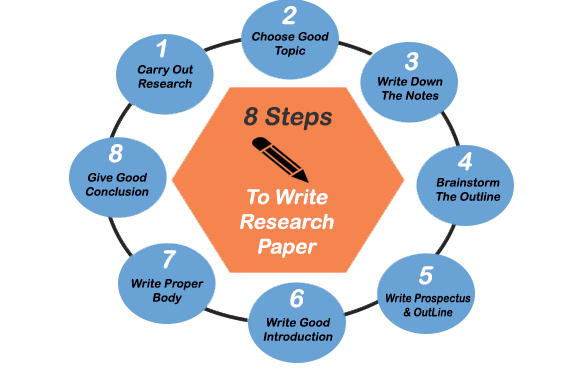 Let’s have some look on these simple 8 basic steps to write an ideal research paper. 1. Carry out a thorough research: This is the most important step while writing a research paper on any subject. You need to carry out a very thorough and prolonged research work before writing the paper. Students can take relevant data and information based on the subject topic from valuable resources like internet, newspapers, books, scholarly articles, journals, etc. You always need to take the best and the mot important points from all these sources. 2. Choose a good topic: If your institute gives you the freedom to choose your own topic, then you can select the one that interests you the most. You also need to be very careful while choosing your topic. Try to choose an uncommon yet interesting topic since most students tend to write on general topics. 3. Write down the notes properly: Take down all the important notes related to the topic on a paper for the ease of writing your research paper. Try to color code your notes and use highlighters for marking the important details. If writing down the detailed notes is more time-consuming for you, then, you can photocopy the notes from various sources like books, journals, articles, etc. This will definitely save your time. 4. Brainstorm the outline: After conducting an in-depth research, you can write an outline. Include all the vital information and notes you have gathered and start brainstorming them as per your topic. You need to write a well-shaped beginning, body and conclusion part in this part of your research paper. Your paper will really get a good shape and structure with proper brainstorming if the gathered information from various sources. 5. 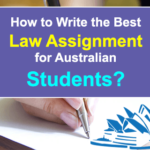 Write a prospectus and outline for your own sake: What is the topic? What is the significance of the topic? Why you should choose the topic? What is the background of this topic? Answers of these few questions are needed to be outlined while writing your research paper on any subject or topic. 6. Write a very good introduction: It is a very important part of your research paper. Thus, you need to be very careful while writing the introduction. It should include a contextual material and relevant background. Here you also need to define the concepts or terms wherever necessary. In the introductory part you need to explain the focus and purpose of your paper. 7. Write a proper body: Body is the main part of your research paper. Here you need to use the prospectus and outline as the flexible guides. In the body part you need to build the body of your research paper around the points you need to make. In this part of your research paper you need to summarize, analyze evaluate and explain the published work. 8. 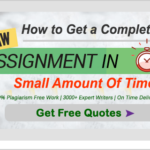 Give a good conclusion: A good concluding part is very much necessary to make you research paper more impressive and to get A+ grade on your research paper. Here you need to summarize your argument. This concluding part is the end of your paper. In third part you need to add points and explain their significance. Here you need to move from detailed to a general consideration level that return your top to the content provided by the introductory part. Why you need help in writing a research paper? Writing an ideal research paper on any subject or stream is not an easy task. The students may not get enough time or energy to complete the whole work all by them. Thus, their research paper grades might suffer. Under these conditions they need the best research paper writing help from any trustworthy online organization. 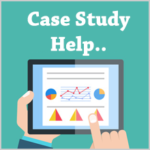 The Casestudyhelp.com online organization is the best option for you in this regard. So what are you waiting for now? Avail the best research paper writing online service from us as soon as possible to get the top grades in your university.